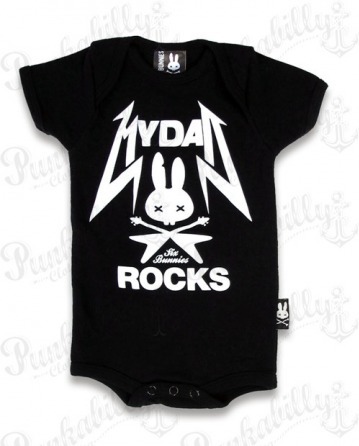 This simple black onesie brings striking white printed message: "My Dad Rocks"! 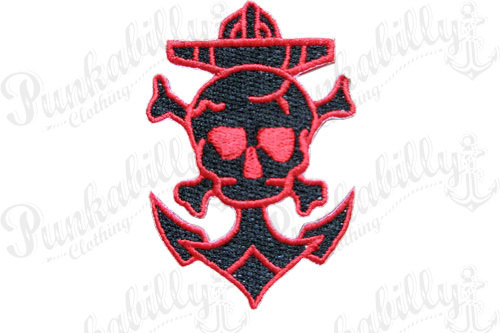 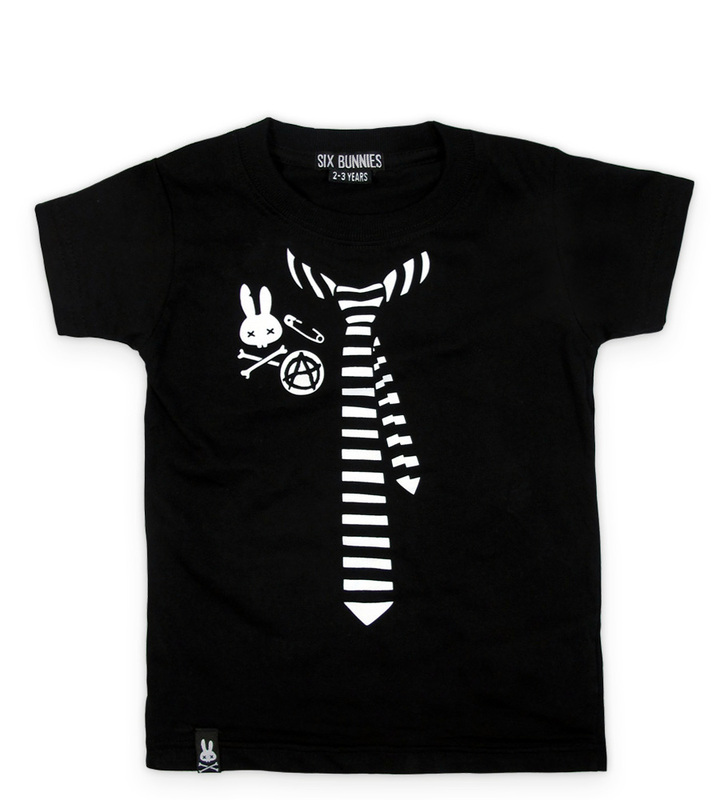 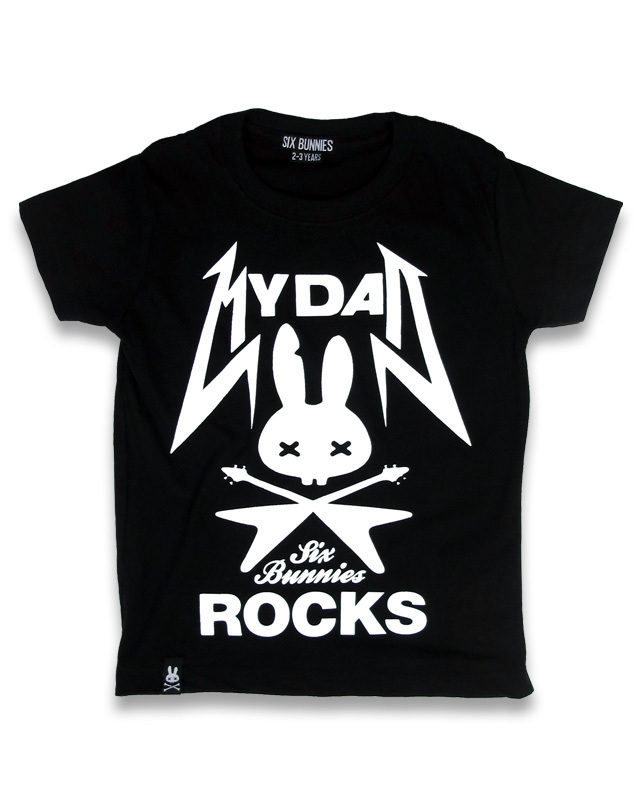 Little punk, rock and metal lovers will be even cuter wearing this rebelliously designed Six Bunnies piece of clothes. 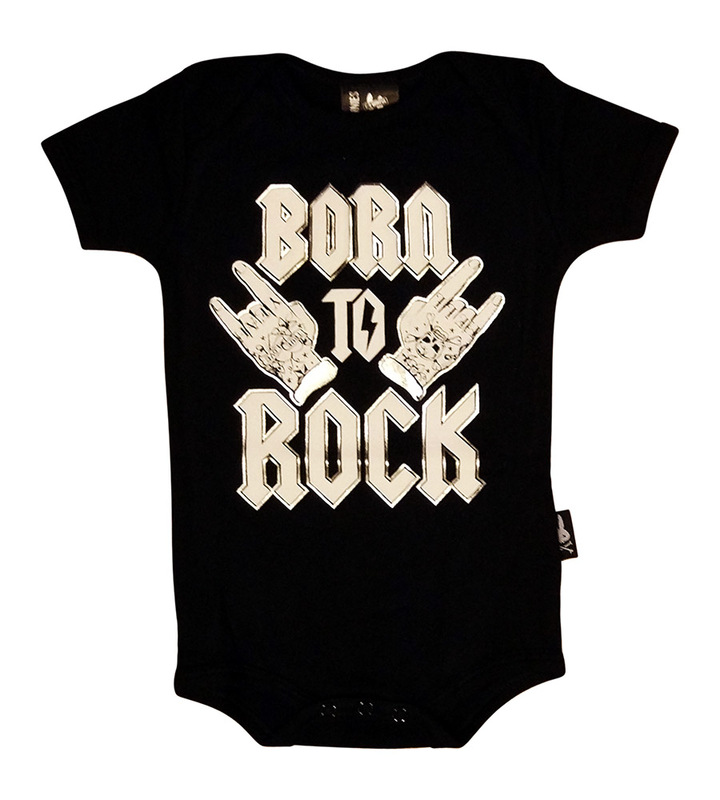 Babies will love this cool thing just as much as they love their Dads!